More importantly, he has led Kansas City to the AFC Championship game - a win away from the team's first Super Bowl in almost a half-century. 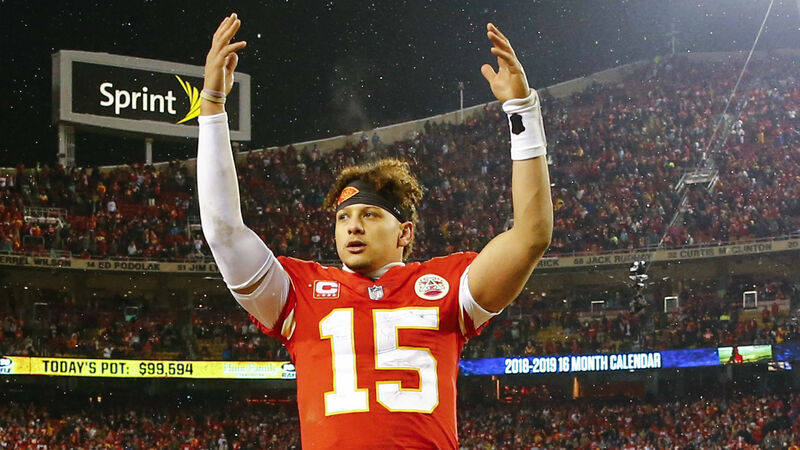 ESPN cited league sources on Sunday as they stated the Chiefs will look to sign the second-year quarterback to an extension next season, when he becomes eligible for a new contract. According to Adam Schefter, the Chiefs plan to extend the MVP candidate's contract after next season. Issues will have to be addressed - some surrounding the collective bargaining agreement that would have only two seasons remaining, and some involving the two years that Mahomes would have left on his current contract, including the fifth-year option that Kansas City undoubtedly would exercise. In August, Packers quarterback Aaron Rodgers signed a four-year, $134 million contract that could be worth up to $180 million with incentives and bonuses. During his first two years in the league, his agent, Leigh Steinberg, intentionally persuaded Mahomes to avoid being too visible before he had accomplished more on the football field. In his rookie year, he backed up veteran Alex Smith, but has emerged as a genuine star in a stunning second season. Mahomes flashed his potential when he was at Texas Tech, throwing for 5,052 yards and 41 touchdowns while completing 65.7 percent of his passes in his junior season, but some thought it was just a product of playing under then-Red Raiders coach and quarterback guru Kliff Kingsbury.